While the company could not ascertain whether the campaign came from Russia, Facebook officials did say that some of the tools and techniques they employed were similar to those used by the Internet Research Agency (IRA), a Kremlin-linked troll farm. 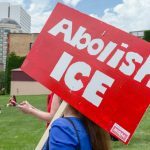 Experts believe that Russian trolls were responsible for making #AbolishICE a trending hashtag on Twitter. The purpose was to divide Democrats and allow Republicans to paint progressives as extremists who want open borders. As The New York Times points out, the fact that Facebook is even acknowledging the existence of these malicious campaigns marks a dramatic shift from their previous stance on the issue. Last year, the company faced widespread criticism for failing to detect Russian interference in the 2016 U.S. election. It took months for Facebook executives to concede that Russia had used the platform to manipulate voters and to release more information connected with the investigation. But according to Gleicher, identifying these political influence campaigns has become a lot more difficult, as imposters have learned how to avoid detection. “These bad actors have been more careful to cover their tracks, in part due to the actions we’ve taken to prevent abuse over the past year,” Gleicher explained. 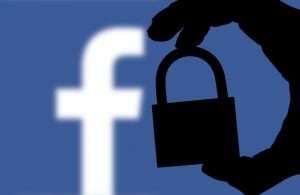 But no matter how difficult, lawmakers have continued to hold Facebook accountable for its lax security measures. “Today’s disclosure is further evidence that the Kremlin continues to exploit platforms like Facebook to sow division and spread disinformation,” said Senator Mark Warner (D-VA).